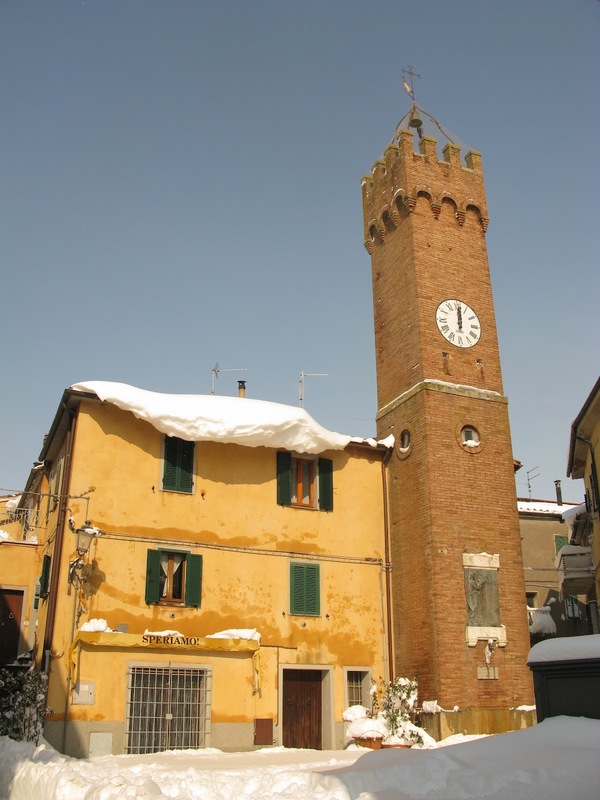 The amazing quantities of snow in Tuscany have started to melt away, just in time to free our village's lovely main square for a winter outdoors event. It's a village tradition to celebrate the first day of lent (after all we just got used to celebrating during carnival, so why stop at lent?) with a hearty Tuscan dinner under the stars. 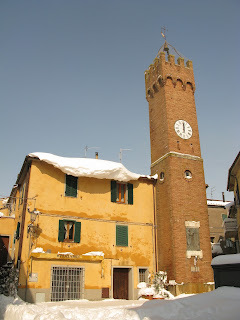 Rivolti (a local pancake made of solely of water and flour), hand-made polenta, Tuscan sausages, wine & a warming fire. Just the things one needs to get over the end of carnival and summon up some energy to sail through the last weeks of winter. Dress warm and bring a healthy appetite. NOTTE DEI RIVOLTI 2012, Cinigiano, Piazza Guglielmo Marconi, Wednesday 22nd of February, from 6pm till your feet start freezing off. My Tuscan village is a 40 minutes drive from Grosseto (inland towards Monte Amiata) and an hour from Siena (driving towards Paganico in the South and then inland towards Monte Amita). For more details check my Southern Tuscany map.